A US-based dental clinic has launched augmented reality, in order to make going to the dentist a fun experience for kids and families. 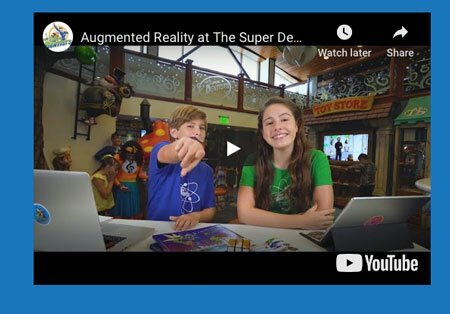 The Super Dentists is one of the first dental office in San Diego, Southern California and maybe even the US to use AR to teach its patients about taking care of their teeth. In Australia, AR in this context is still being trialled. Augmented reality is an interactive experience of a real-world environment where the objects that reside in the real-world are ‘augmented’ by computer-generated images, sometimes across multiple senses, including sight, sound and touch. Many predict AR is poised to become a major factor in a lot more than games and social media filters in the near future. To engage with the AR app, a patient (child or parent) downloads The Super Dentists’ Vivarra Dental app from the App Store or Google Play, then scans large colourful floor targets with the app in the offices, or they can even try AR at home by scanning a sample target. The practice’s popular characters—Dr Have on Super Smile, the Tooth Keri, Cavitar, Molar and MeloD—pop out of the target in 3D to answer some of the doctors’ (and offices’) most commonly asked questions in a memorable way.